A slow day for a fast day. Fast Tuesday: No eating for 24 hrs! Awareness Aim: While college students sometimes feel as if they starve, it is in pale comparison to those who really are starving the world over. We hope that a day of fasting will remind people of their good fortune and make them remember those who go without for not just one day, but everyday. 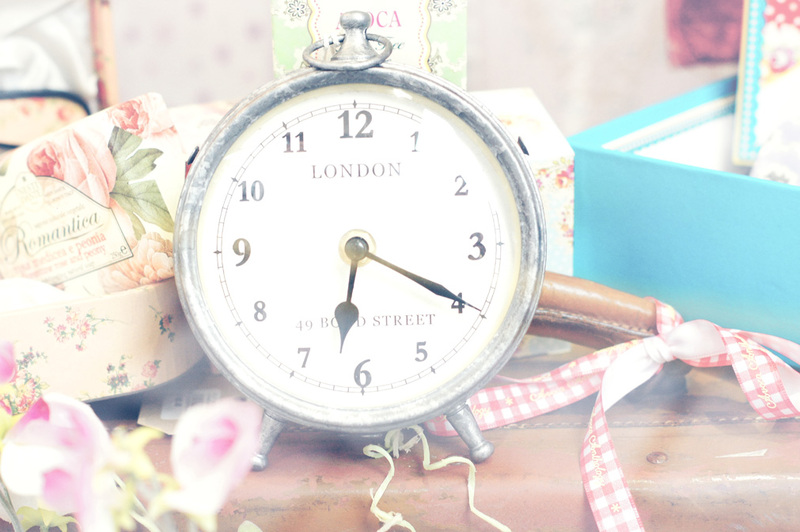 (ii) I loved this clock and find the prettiness surrounding it ironic.. time for those who go without must be dark and anything but pastel. Time is also our greatest fortune and something we must never take for granted. Each hour, minute and second is the biggest gift we will ever have… it is a gift many lose too soon.